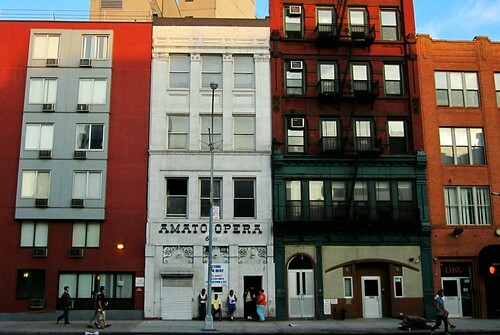 Since the Amato Opera closed in 2009, it has been one of the more notable vacant buildings on the Bowery. The opera’s founder died yesterday of cancer, and the building is still empty and on the market for $6.5 million. Michelle Rick Local theater producer John Kim (below) said that the owners of the Amato Opera promised that he could take over the theater when it closed in 2009. A long legal fight stemming from his falling out with the opera’s former owner is winding down. 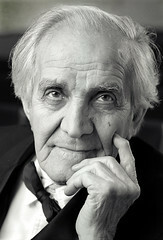 As the curtain fell on the Amato Opera’s final performance in May 2009, many tears were shed and its eponymous founder received a standing ovation. But perhaps few in the audience knew that behind the scenes, a family feud had led to the end of the revered East Village opera house — a dispute that continues in court two years after the opera shut its doors. Since the opera closed, a circuitous legal battle has ensued, which pits the charismatic owner of the opera, Anthony Amato, against his niece, Irene Frydel Kim and her husband, John Kim, who charge that Mr. Amato owes them more than 10 years worth of back wages, worth roughly $70,000. They also say in court papers that Mr. Amato owes them a portion of the $3.7 million he received through the 2009 sale of the opera building at 319 Bowery. Mr. Amato counters that Ms. Kim misused money from a trust that he had established for her, and that she should repay the trust around $72,000. 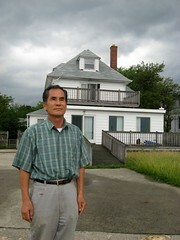 This summer marks the end of one aspect of the dispute: under the terms of a court ruling late last year, the Kims have until September to vacate the City Island home that they once shared with Mr. Amato while helping him care for his ailing wife. The ongoing legal wrangling has cast a cloud over the closing of the Amato Opera, which was previously portrayed publicly by Mr. Amato as inevitable, given that he is now 91. Speaking about the matter on the record for the first time, Mr. Amato attributed his decision to close the opera to the lingering dispute with the Kims.